Crowther & Sons is acclaimed as one of the finest upholsterers in the United Kingdom, with a reputation achieved through meticulous attention to detail over almost 30 years. The company repairs and restores treasured antique furniture or favorite pieces, to “up-cycle” and reupholster to your specifications. Traditional materials and techniques ensure quality and longevity and are kinder to the environment. 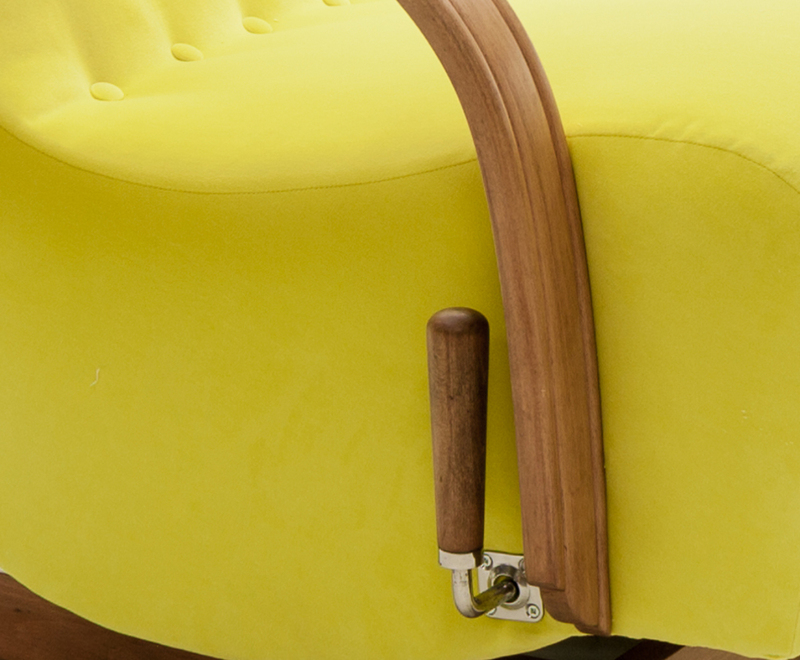 Crowther & Sons breathe new life into hundreds of pieces of furniture every year that might otherwise be discarded. 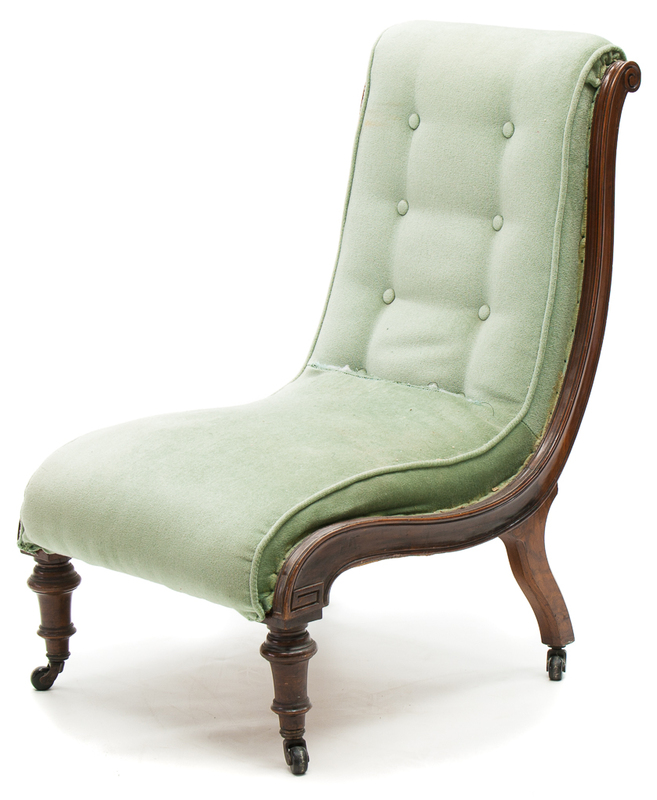 Before you decide to throw your old sofa or chair out, think again, as older furniture is worth keeping and restoring. Crowther & Sons are specialists in all aspects of re-upholstery including Chesterfield sofas, leather work, deep-buttoning, cushions, bespoke headboards and footstools. 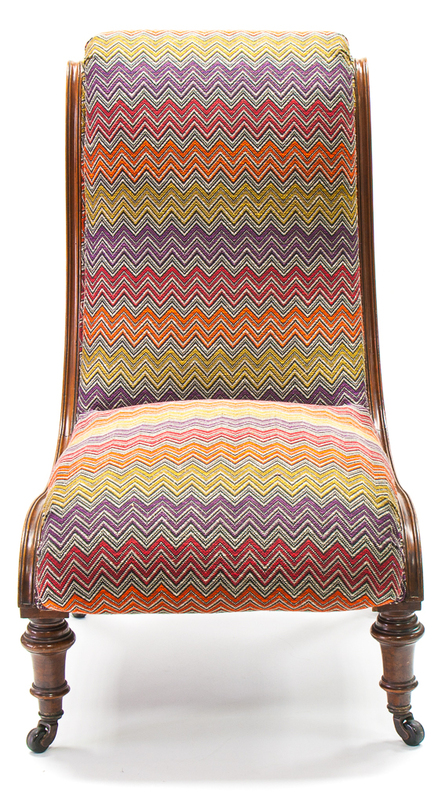 Fantastic transformation of a Victorian Chair reupholstered in this striking Harlequin Chevron fabric. Above are two swivel chairs recovered in Holly Hunt 'Best Dressed' Alexander from Fox Linton. These swivel chairs were for a project in Kent with Bridget Reading Interior Design. Edwardian drop arm sofa upholstered in William Morris Acanthus tapestry and Georgian wing chair in classic William Morris velour. It goes to show that you can use more than one pattern on different pieces within the same room. This 70's Milo Baughman sofa has had a complete overhaul and now sits proudly in its owner's home. The Stainton wing chair perfectly pattern matched with arm caps and fitted head and wing cover. This rocking chair has been completely renovated with new springs and a full re-polish with a light oak stain and wax finish. The bright Linwood lemon fabric really finishes this piece off.